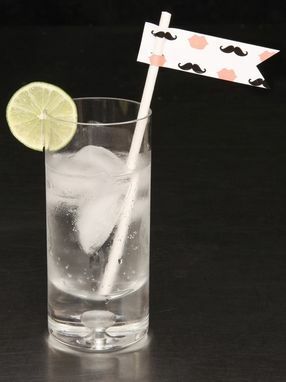 **This listing is for 1 Mustache and Lips drink flag and straw. These drink flags and straws are a fun and creative addition to your event décor! 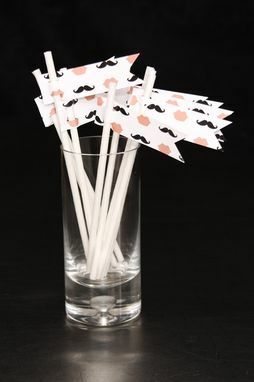 They are perfect for your signature drink or ask bartenders to put them in drinks at the bar. The size of the each flag is 3" x 1". 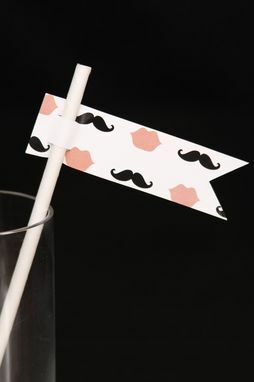 Flags are double-sided and include white paper cold drink straws that are 7" tall. You can select a different pattern to be on each side of the flag! The design/pattern colors, and any graphic elements can be changed to suit your color palette. Convo me with your colors and I will send you a free color proof. Any color palette can be chosen for your flags. There is no extra charge to change the color palette. For a custom color send me a link to the website that displays your color swatch or attach it to a message. I will come as close as I can. Colors viewed on screen are not precisely the same color when printed. Look at it on multiple monitors if possible.